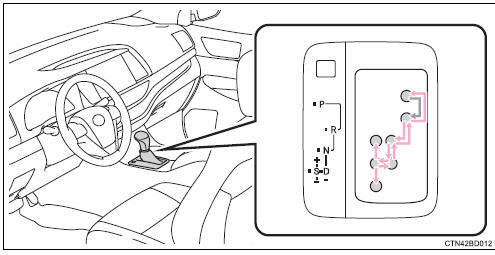 smart key system: while the engine switch is in the �on� position, depress the brake pedal and move the shift lever. When shifting the shift lever between p and d, make sure that the vehicle is completely stopped. Vehicles with a smart key system: while the engine switch is in ignition on mode, depress the brake pedal and move the shift lever.